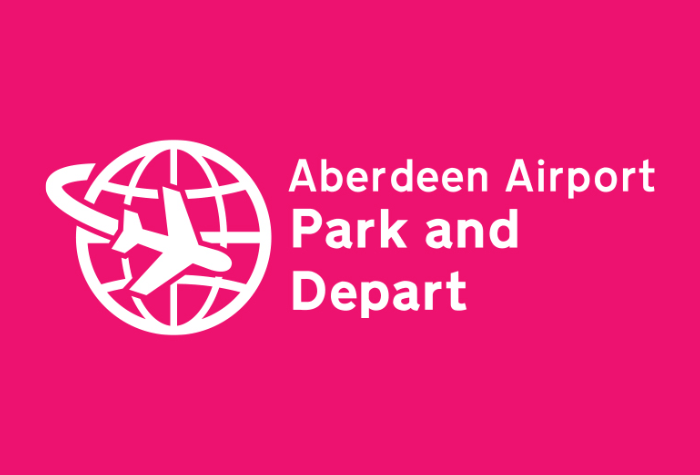 Looking for convenient parking at Aberdeen airport? Then look no further than Park and Depart. It offers you a straightforward parking solution, with speedy transfers as part of the price - and you get to keep your keys! 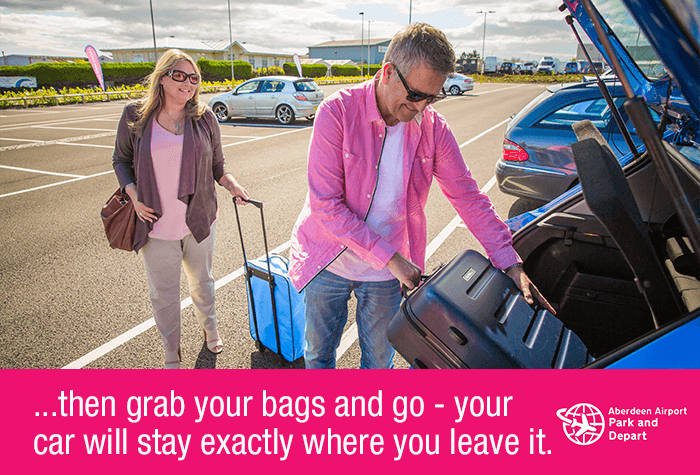 All you need to do is drive to the car park, park your car and hop on the bus to the terminal. It'll take just 5 minutes to get to the airport and won't cost you a penny extra. What's more, it's just as easy on your way back! Grab your bags, hop on the bus back to the car park, get in your car and drive home. It's blissfully simple! 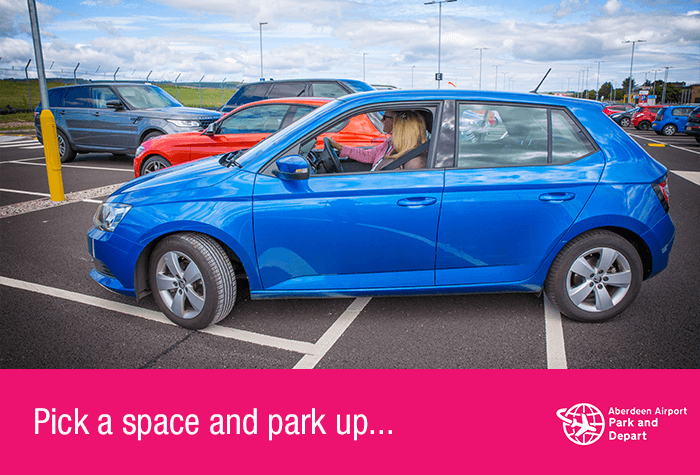 If you're after a car park that puts you in control, and gives you speedy transfers, then this is the ideal Aberdeen airport parking package for you. A new car park just 5 minutes from the terminal - and its one of our cheapest. Save your spending money for what matters with this cheap and simple car park. Not only is Aberdeens Park and Depart fantastic value - and even better if you book our non-flex option - its also just one year old, so you get to enjoy brand-new facilities from the moment you arrive. 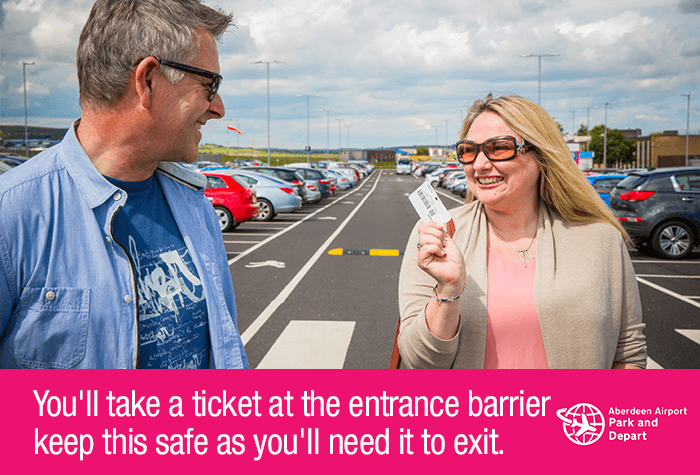 Simply pull up to the barrier and wait for it to lift - you wont even need to get out of your car. The barrier will read your number plate and give you a ticket, which youll need to keep hold of until you get back. 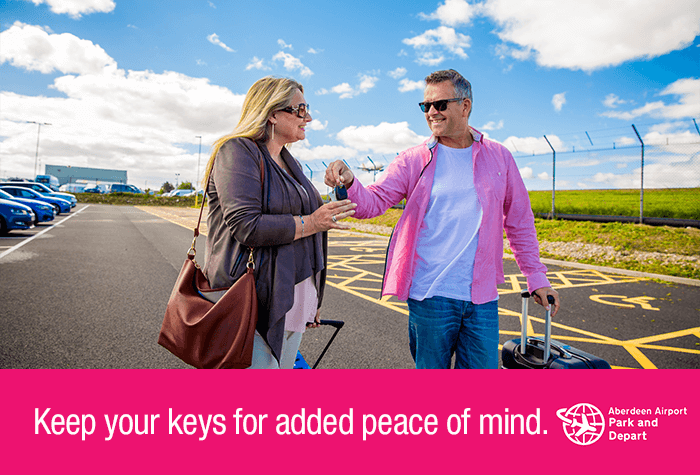 Then, park your car, pocket your keys and catch your free transfer to the terminal. They run on demand and take 5 minutes to reach the airport, so youll be on your way in no time. Park and Depart is fully-secured. 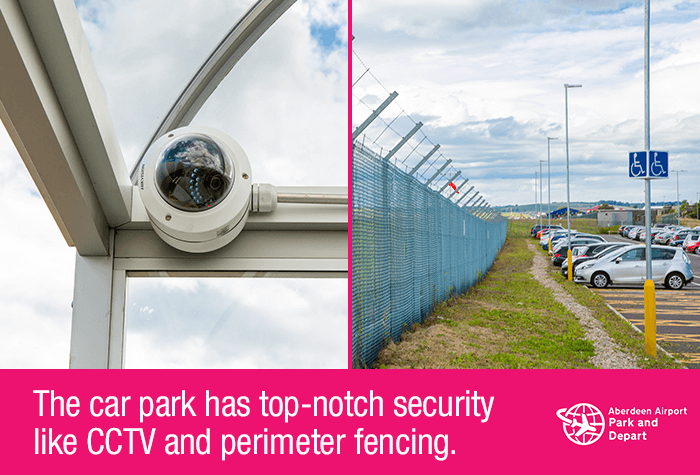 Theres CCTV in use, entry and exit barriers and even regular staff patrols for added peace of mind. The car park is extremely well kept, so you wont have to worry while youre away. 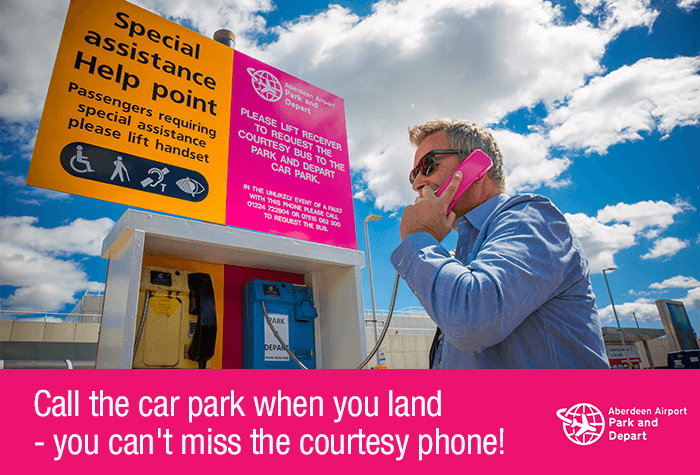 When you get back, cross the road to the upper bus stance and use the pink phone to request a transfer back to the car park. 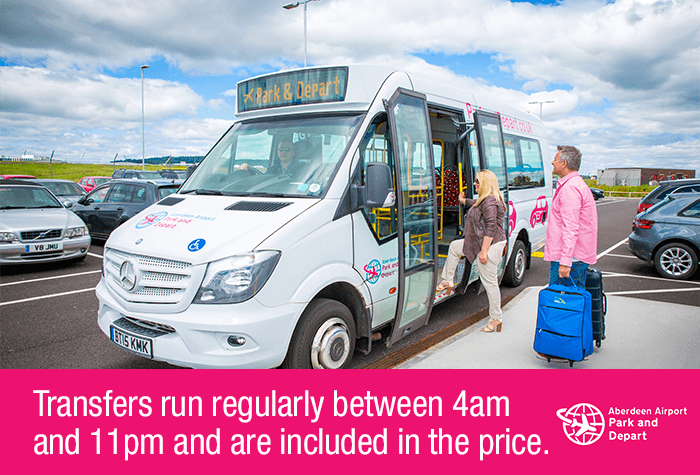 Transfers run between 04:00 and 23:00, but the car park will still operate transfers outside of these times for any flights that have been delayed. 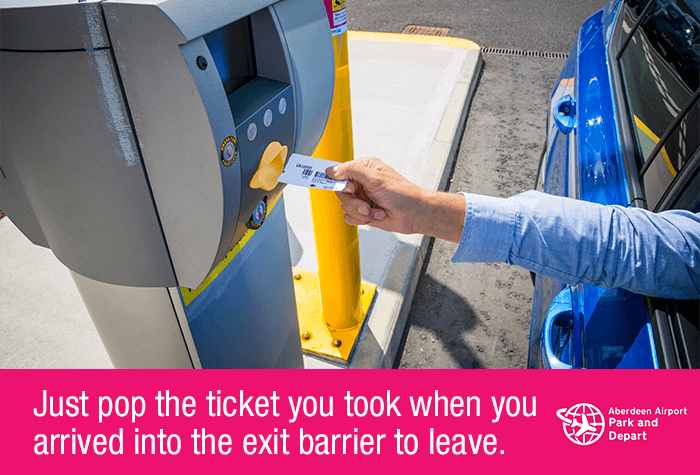 You just need to pop your ticket into the exit barrier to lift it when you're ready to leave, and you're free to head home. Book today for a cheap parking package that doesn't compromise on convenience. The car park is suitable for customers with limited mobility, as there are spaces suitable for Blue Badge holders - they do work on a first come first served basis and cannot be reserved. The shuttle buses are wheelchair accessible. The car park can only accept cars of a standard size. Trucks, caravans and trailers are not allowed. 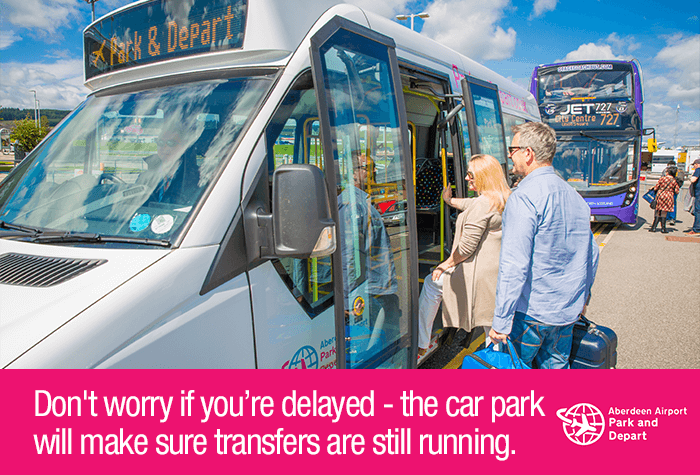 Transfers run between 04:00 and 23:00, but the car park will still operate transfers outside of these times for any flights that have been delayed. 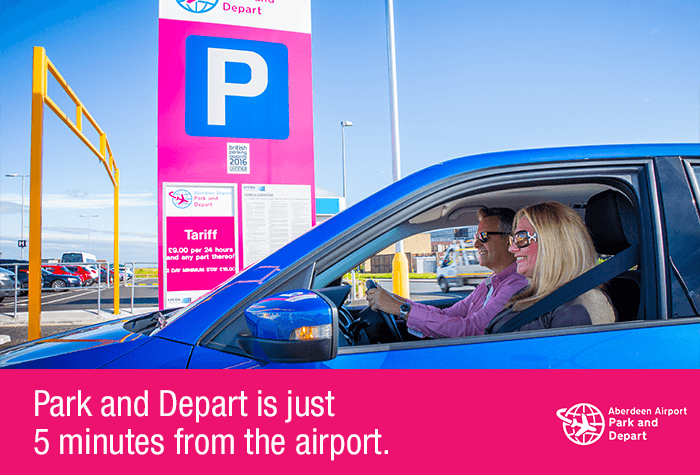 When you're ready to fly, catch the car park's convenient shuttle bus straight to the terminal. It runs on demand, takes just 5 minutes, and is included in the price. All went very smoothly. Shuttle bus runs very frequently and only takes about 5 mins to the airport. Bus was waiting on our return. Car park is conveniently situated for the airport and shuttle bus takes around 5 minutes. Bus driver was helpful and friendly. It was easy to access and depart the car park. Everything was fine, as described. And all went smoothly. This is a fairly new car park and the first time we had used it. We felt that it was not strongly enough branded on the signage ie it needed to say Long Stay East. One other criticism is the luggage facility on the transfer bus which is totally impractical. Otherwise a good experience. Our customers rated Park And Depart on average 9/10 (557 reviews). Read Park And Depart reviews.